Do you wish your house had just a little more space for your family to enjoy? What about having an extra spot for the kids to play, regardless of what the weather is like outside? A sunroom addition, with all of its wonderful windows and light, might be the perfect solution. Raleigh, NC’s Blue Ribbon™ Residential Construction has provided gorgeous, first-class sunroom design, construction and remodeling services to our local area for over 25 years now. 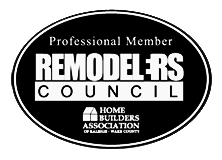 Over that time, we’ve become well-known for our professional approach to sunroom building — in fact, many of our new clients have been referred by our previous customers. The sunroom designers and builders at Blue Ribbon have garnered a lot of respect (and a few awards, too) over the years. We’ve come to learn that while our customers love the results we produce, what they really respect is our personalized approach to home construction — from the plans and pricing, to the preparation and construction, we provide all the support you need. You can access the strengths of a sunroom in any number of ways. Many of our clients mention that they have been impressed at the increase in the value of their home when it came time to sell their home. But what if you plan to stay in your Raleigh residence for the foreseeable future? Even better — a new sunroom is a gift that keeps on giving! Along with the increase in square footage, sunrooms are a wonderful source of natural light and provide incredible views of the outdoors. Blue Ribbon Construction is your local sunroom building expert! To begin the process of your home remodeling project, reach out to us online or by phone at (919) 852-3700 — ask about a free estimate!